A snowy, frigid New York is about to enjoy a blast of Caribbean warmth courtesy of Jamaica and its most favorite son, Bob Marley, MArk Kennedy reports for the Associated Press. 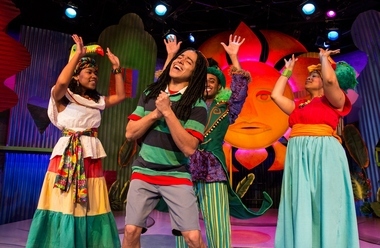 The New Victory Theater in the heart of Times Square is putting on “Bob Marley’s Three Little Birds,” a new musical for kids that features the legendary reggae artist’s songs. It will run Feb. 7-23.